Sebring is always the first race of the season for us. It is 1200 mile tow, but it’s worth it. Our prototype Grand Sport roadster was not ready, so we left it home, but it was just as well as we were really busy with three customer cars. In addition to our long time customer and friend Mark Innocenzi from New Jersey, we provided trackside service for a McLaren MK8F from Holland and a 1967 427 Corvette that was flown in for the race from Greece. 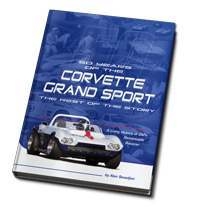 We had never seen the 67 Corvette until Wednesday evening, and it blew up Thursday morning on the first lap of the first practice session. It came in on the hook at 9AM, and by 3PM a new GM Performance ZZ427 was delivered to the racetrack from Tampa. Our crew put in a very long weekend, but the 67 made the grid for the endurance race on Sunday. Edward qualified second to a Lola T-70 that HSR seems to think belongs in with the Corvettes, Camaros, Mustangs, Porsches and XKE’s that constitute Group 5. Turns out it didn’t matter; Edward passed the Lola on the first lap and won the race by over 20 seconds. 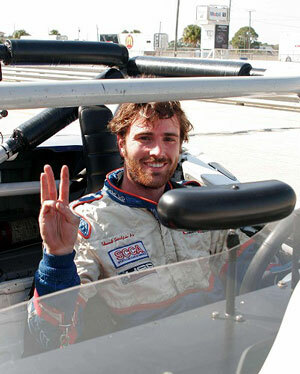 In the process he lowered the lap record again by another 2 seconds to a blistering 2:15.6. After Edward’s 2:15.6, Alan did not want to get in the car, but he gave in and ran the American Challenge Race, which is basically another Group 5 race with some Group 3 cars thrown in for good measure. 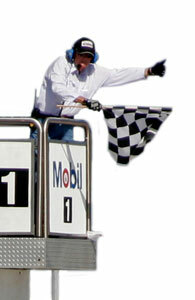 Alan won by .6 seconds, but insisted that the margin of victory was consistent with the words of Sir Sterling Moss, who said: ‘The purpose of a motor race is to win at the slowest possible speed. Anything more than that is just needlessly thrashing the equipment.’ (Or something like that). Edward finished up the three race sweep by winning the Group 5 Sunday Feature Race by another 20 second margin. Here is a link to a spectator video of the start of the Saturday race. This is a link to Edward’s in-car video of the start of the Sunday race. Edward is really good at this! Free delivery right to the track. A new ZZ427 from GM Performance Parts!